India Research & Scholarship Endowments are the best return on your investment in charity. You help educate mainstream America about your heritage and, in the process, give back to the institution you attended as well as to the society that contributed to your success. The India Research & Scholarship Endowments ($25,000 each) are established at universities in the US. For each endowment, the Foundation will contribute $5,000 and sign the Establishment of Fund (EOF) with the university to sustain and administer the scholarship. The balance will be raised by the local Indian American community under the guidance of an Area Coordinator. Once established, the Fund will award an annual scholarship (approx. $1000) to a student (regardless of race, color, creed, or nationality) on the basis of the quality of the student’s research proposal relating to India or the Indian American community. The Foundation can also facilitate you in establishing an endowment to commemorate a loved one but the endowment name must contain the word “India” in its title. To establish an India Research & Scholarship endowment at a university in the US, please contact us. Misunderstanding, misinformation and stereotyping of Indian Americans and their cultural heritage continue in this day and age of globalization and proliferation of mass/social media. To address this situation, IAEF in partnership with Atman Press (http://www.atmanpress.com/), publisher of award-winning books (India Unveiled and Finders Keepers?) 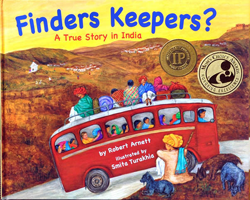 by internationally acclaimed author Robert Arnett, donates books to schools and libraries in the US in order to combat misinformation about India’s culture and religion and to help pass on Indian culture to the second generation. The non-profit 501 (c)(3) status of IAEF enables your contribution as a tax-deductible donation. There is no limit to the number of books that can be donated at special prices. A list of particular schools to (in lieu of school districts or geographical region where to send the books must be provided to IAEF). Bookplates bearing the names of donors are affixed inside each book. If donors indicate no preference, IAEF will select the schools that will receive the books. To date, more than 10,000 books have been donated to schools and libraries. For more information, contact IAEF or Atman Press. IAEF donates sets of India Unveiled Photograph Exhibit to universities in the U.S. to be made available for public display through their Outreach Program. The Exhibit is designed to promote global understanding by initiating and facilitating communication between students, their teachers, and society at large by providing a forum to show how we can all live together harmoniously in an inter-dependent world. It is an ideal educational tool for teaching India’s culture, religions, and ethnic heritage in the public school systems and universities through an informative and enjoyable visual experience. 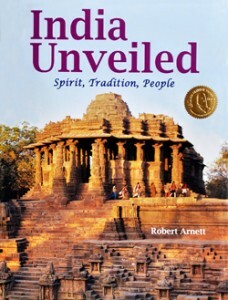 Selected from the photographs taken by Robert Arnett for his internationally acclaimed book India Unveiled, the exhibit highlights the diversity and multicultural life in India. Vivid photographs enlarged, reproduced and framed to museum-quality specifications cover various geographical regions, major religions, lifestyles, and landscapes in India. Each photograph is accompanied by a miniature map of India to place it in a geographical-cultural context. In addition, the Exhibit includes 5 plaques on various topics to aid understanding of the lands and people of India: Map of India, History of India, Religious Diversity, Symbols, and Biographical Sketch of the Photographer. To borrow the Exhibit for display in your area or to donate a set to a university in your area or your state, please contact us. The main features of the PWD Act (1995) can be accessed at the official website of the Ministry of Social Justice and Empowerment, Government of India. The Disability India Network, India’s one-stop site for comprehensive information related to disability in India, hosted by the Society for Child Development. Disabled Peoples’ International (DPI) is a network of national organizations or assemblies of disabled people, established to promote human rights of disabled people through full participation, equalization of opportunity and development. Autism refers to a condition marked by absorption in self-centered subjective mental activity leading to withdrawal from reality. Also known as spastic (paralysis with tonic spasm of the affected muscles and with increased tendon reflexes). Disability of the bones, joints or muscles leading to substantial restriction of the movement of the limbs or any form of cerebral palsy. Catalog of over 8000 books and 10000 pamphlets online dealing with health and disabilities. International Federation of Library Associations and Institutions-Paper on Inclusion. A “once-a-day” email news service that keeps you up to date on this exciting movement toward full community inclusion, self-determination, and human rights! An excellent resource! The Department of Special Education, University of Northern Iowa (USA). Offers a comprehensive look at inclusion – philosophy, teaching strategies, administrator’s role, financial considerations, legal requirements, resources and related links. Inclusion Press is a small independent press striving to produce readable, accessible, user-friendly books and resources about full inclusion in school, work, and community. Our books are excellent resources for courses and conferences. Annotated links to developmental disabilities, language, speech, & hearing disabilities, organizations & institutes, psychological and behavioral disorders, and resources for special educators and parents. Information on manufacturers, suppliers and distributors of aids and appliances required by persons with disabilities. The International Society for Alternative and Augmentative Communication. TextHelp software and downloads for persons with learning disabilities. IntelliTools has been a leading provider of hardware and software giving students with special needs comprehensive access to learning. Excellent disability links!! Math software (speech enabled) for people with learning disabilities. Closing The Gap – computer technology in special education. Mayer-Johnson, Inc. Training aids, communication devices. Official website of the Rehabilitation Council of India (RCI). An electronic searchable database of information on assistive technology and rehabilitation equipment available in the US with more than 29000 product listings covering everything from white canes and adaptive clothing to low vision reading systems and voice output programs.